Ash is a power plant, watering himself for the spiritual growth of himself and those he effects. He holds peace circles as a member of the organization Circles and Ciphers, bringing together people from many different backgrounds in order to build community and hyper-empathy through conversation and vulnerability. Ash is also a musician. Through singing, rapping, spoken word, and production, he illuminates his own soul with the intention of aiding others in doing the same. He is currently preparing the release of his debut musical project "Sprout." As a self-identified healer, Ash is drawn to the practice of herbal medicine and is in the beginning steps of developing into a holistic healer, empowering himself and his community with the tools to nurture, maintain, and increase general wellbeing. Ash chose to be a part of Cities of Peace because he recognized the importance of joining a community with similar sentiments about the condition of the world and bringing his particular truth to the process of positive creation in order to add to the whole sum. His research topic is the violence of the many roadblocks that restrict and decay the health of people in Chicago, Cambodia, and those of the Hull House era. He hopes to gain deeper insight into the truths of the topic in a meaningful way that will spark further insight and greater autonomy for those affected. He intends to transform himself into a beacon that helps others glow brighter for themselves and others. 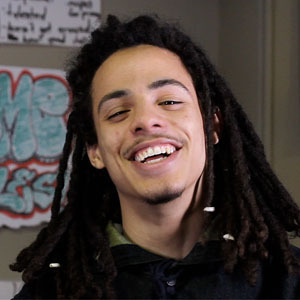 Ric Wilson is a young black self-proclaimed Prison Abolitionist and Artist, from the Southside of Chicago who organizes with Chicago's Black Youth Project 100 and We Charge Genocide. Ric believes"no one should be hungry, no one should feel outcasted. I believe in a world where everyone is sheltered, fed, sustainable, and free." Ric uses his music to be a mouthpiece for the movement of liberation and to express himself. The Chicago Freedom School Alum chose to be involved with Cities of Peace to research different forms of violence in collaboration with a team of wonderful comrades. Ric is also looking forward to learning about a different culture overseas with people conscious of inequalities internationally. Ric's research topic is sexual violence and how it connects to misogyny, patriarchy, and male dominance. Ric hopes to become connected with an expert in his field of research and teach it around the city of Chicago. Ric wishes to use this as a way to reach out to young boys so they have an early understanding of Sexism throughout the world, and how not to oppress women at a young age. Alina is a caretaker, knitter, and healer who also goes by Ming Na to the little ones. She embraces a compassionate warrior identity as an auntie, daughter, and sister who continually searches for healing in the everyday braid of life. A reflection of the transmission of culture from one generation to the next, she knits for the people she loves and carries hope for. She was propelled into activism and the mental health field as a senior in college when she experienced a series four psychiatric hospitalizations within a period of two years. Call it a chemical imbalance or a calling from the ancestral spirit world, her experience does not change fact that it exposed her to the huge need for mental health treatment to be community based and culturally relevant. Her ongoing labor of recovery often gets emotional, spiritual, and biologically cellular. It gave her a personal calling to become a humanistic healer for the people. Alina holds a bachelors degree from the University of Illinois in Champaign-Urbana and currently is the Project Coordinator of the Youth Programs at the Cambodian Association of Illinois. She co-founder of Chicago Khmer for Change and organizes for The Khmer Support Giving Circle. She will be a matriculating medical student for the Fall of 2015. She chose to join Cities of Peace because it gives her the ability to connect with similar minded beings that are also envisioning a restorative healing for their communities. She hopes learn ways she can bridge peace and understanding among the older and younger generations in her community through the participation of this program. Alina’s research topic is Domestic Violence. Or as it’s said in Khmer, Hungsa Knoung Crusa. Briana Lee Johnson is a Social Justice Activist and Women's Suffragist who strives for solidarity and peace all over the world. She attends Uplift Community High School. Briana is currently an alumni at the Chicago Freedom School, which is a program that educates young children about interpersonal and structural violences throughout the city of Chicago. By participating in this program, she was referred to join Cities of Peace, which is also another organization that brings a diverse group of youth together to promote justice in their communities and also abroad. Learning about other people’s struggles and personal oppressions interested Briana, because she feels that it is important to collectively learn and understand her peers background history and cultures first in order to come together as one. She decided to do a research topic on the interpersonal and structural violences within legal institutions such as: juvenile courts, jails, and prisons. Briana hope to sum up the true significance of the Cambodian genocide and find a way, not to cope, but to heal the pain and damage that was caused to thousands of innocent people. Once she can do that, Briana wishes to share her knowledge as an activist with other youth around her community and more. Johnny Yoeun is a son to a Cambodian refugee who escaped a war-torn country to settle in the United States. Upon arriving in Chicago in the early 1980s with nothing but the clothes on their back, his family faced new challenges as they thrived to adapt to a society that was unfamiliar to them. Due to living in low-income housing and a poverty-stricken neighborhood, his parent struggled to make ends meet, leaving him and his sibling unattended most of his childhood. Without any guidance, Johnny was caught up in gang activities and went out to live a life of destruction to society and himself. After the loss of many close friends, he was given the chance to leave the gang lifestyle and start anew. At the age of 17 Johnny began volunteering at local community organizations and soon found his passion in healing and educating people. He went on to work for the Chinese Mutual Aid Association, Multi-Cultural Youth Project, and the Cambodian Association of IL. As he attended Columbia College of Chicago he participated in many student organization, sharing the organizing and leadership skills he developed throughout past experiences. Currently a Board of Director Member of the Cambodian Association and Director of Midwest Asian Hip Hop, he continues to serve the community by volunteering, organizing cultural events, and hosting educational workshops. As a fellow for the "Cities of Peace" program, Johnny hopes to contribute by sharing ties to his roots as a Cambodian descent and discipline in organizing for the community. Stefan Caizaguano I'm a transgender highschool student who has spent time living in both North and South side Chicago. He is the first generation son of parents who have come from Mexico and Ecuador. His family has struggled with learning about an entirely different culture, and life in the United States. Stefan's mother crossed the border with only the clothes on her back, a jug of water in one arm and a 3 old daughter in the other. Stefan's father, an orphaned, illiterate Incan farm boy, crossed over more than 7+ countries to get to the United States. Stefan's family are very devoted Guadalupanos, and that is a big part of his identity. He's very loyal and family oriented and the women in his life are very important to him. Stefan's interest in justice began at a very young age. His mother would take him and his siblings to immigrant reform marches and as soon as they could walk, she would bring the stroller with her if they couldn't walk anymore. Stefan's sister was one of the first fellows at the Chicago Freedom School, and at age 13, he joined and have been with them ever since. Stefan facilitates Anti-Oppression and Trans Oral History workshops. 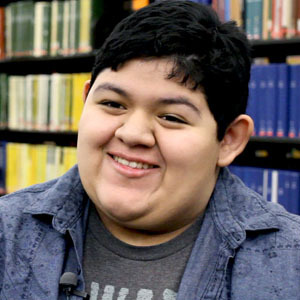 He is a youth activist in the Latino and LGBTQ community, and a cat enthusiast. How he heals is through make origami and gifting them to people. Stefan's research topic is Undocumented Youth in the United States and he is looking into the impact that deportation and not having 'papers' has on undocumented youth. What he hopesto gain from working with Cities of Peace is a new perspective on what healing means to other people, and to also learn about a different culture. Stefan joined Cities of Peace because he wanted to meet new people and help create peace in his city, while meeting other people with similar goals. Moses is a justice-minded millennial navigating post-college life. He received his B.S. in Biology and Psychology from Ball State University (2013). After graduating, Moses completed his term of service with Public Allies in 2014 during which he worked at the Cook County Justice Advisory Council and gained a firm understanding of Chicago's criminal justice system. Moses chose to join Cities of Peace to broaden and reframe his understanding of violence and peace in Chicago. Moses' research topic is labor organizing and human trafficking in Cambodia and Chicago. Moses believes the mainstream narrative of violence and peace in Chicago lacks humanity. With Cities of Peace Moses hopes to create a person-centered understanding of violence and peace for himself and others that will emphasize our individual and collective roles in the processes that spur societal change. A mother. A student. An engineer. A hustler. Imani is one who loves to be happy. She’s family and friend oriented, and loyal to the ones she loves. Imani is independent and a crusader for joy and peace. Imani is strong, intelligent, and faith-based. Imani is a youth-leader and a workshop facilitator for the Illinois Caucus of Adolescent Health and she loves ICAH! Imani is a student at UIC and believes that healing is vital to human survival. Imani heals in a variety of ways, and is very spiritual. She likes the idea of bridging the gap between two cultures based on the common goal of acquiring peace, a peace of mind about our pasts, and bringing peace to our present. Imani loves learning and sharing stories as well. Her research topic is LGBTQ violence and she wishes to gain knowledge of the social issues that we’re dealing with now and how they were regarded in the past. Imani wants to learn how these issues are treated in different societies. Pamela is a radical thinker from the south side of Chicago. During her time at Harold Washington College she became inspired by education and pursued a degree in philosophy. At the moment, her goal is to continue to learn and become an active community organizer with storytelling as her practice. Pamela views storytelling as a process that helps build community, is educational, and a healing practice. Pamela joined Cities of Peace for the opportunity to participate in a youth-of-color-led space to discuss structural and interpersonal violence, as well as peacebuilding. She appreciates the opportunity to combine education, storytelling, community building, and healing at the Jane Addams Hull-House. Her research topic at Cities of Peace is educational inequities and healing through storytelling. One of Pamela’s main goals as a Cities of Peace fellow is to learn from her peers and explore new ways to express her lived experiences. One of the ways she will do the latter is through her research and participation in creating a curriculum, which she hopes will be culturally relevant to youth of color in Chicago and elsewhere. Pamela currently works with the Chicago Taskforce on Violence Against Girls & Young Women as well as the Chicago Freedom School through the Young Leaders Program. Poet, Organizer, Prison Abolitionist born and raised on the Northside of Chicago. Ethan’s work focuses on abolition through transformative/re-distributive justice work in the form of Peace Circle Keeping as an alternative to punitive punishment practices. Ethan also does environmental work in his community with an organization called LETS GO Chicago. He is currently enrolled at UIC in the College of Education. Ethan recently traveled with a delegation of young people (We Charge Genocide) to the United Nations Committee Against Torture to charge the Chicago Police Department with torture. Ethan chose to build with Cities of Peace to further his knowledge and practice of peacemaking both locally and internationally. He is currently focusing on street gang research, and working to reframe the current stigma against those involved in gang culture.